Both music videos were directed by Van Alpert, who also directed the video for Post Malone’s “White Iverson,” and the “When Am I Gonna Lose You” video stars actress Kate Mara. The “Café Amarillo” video arrived earlier this week and follows the band as they leave Los Angeles on a road trip into the desert. Violet Street follows the band’s third LP, Sunlit Youth, which saw them turn towards a more soaring, synth-heavy pop sound. The new album was produced by Shawn Everett, who recently took home Album of the Year at the 2019 Grammy Awards for mixing Kacey Musgraves’ Golden Hour. Everett has also won Grammys for his work with Alabama Shakes and The War on Drugs. To celebrate the new album, the notoriously hard-working band are heading out on the road for their extensive Spiral Choir Tour beginning in mid-May. The tour will take them all across the U.S. and Canada, with stops along the way at notable venues like Brooklyn Steel in New York, Washington D.C.’s 9:30 Club, the Fox Theater in Oakland, Calif., and the Hollywood Palladium in Los Angeles. 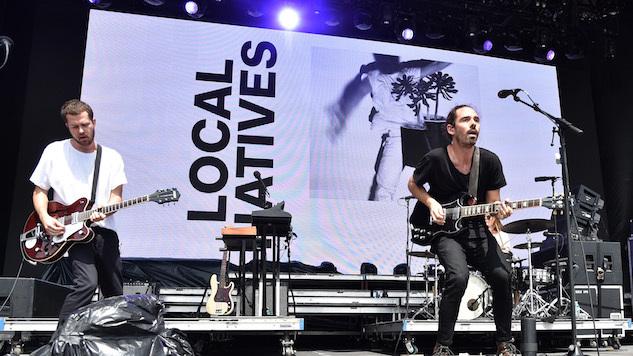 Check out the videos for “When Am I Gonna Lose You” and “Café Amarillo” below, plus a 2009 Local Natives performance from the Paste archives, and see the band’s full list of tour stops for 2019 so far further down.